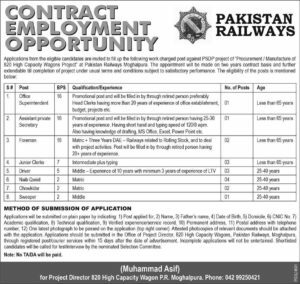 Pakistan Railway New Jobs 2018 Lahore has announced jobs against PSDP Project of Procurement of 820 high Capacity Wagons Project. The appointment will be made on two years contract basis and further extendable till completion of project under usual terms and conditions subject to satisfactory performance. 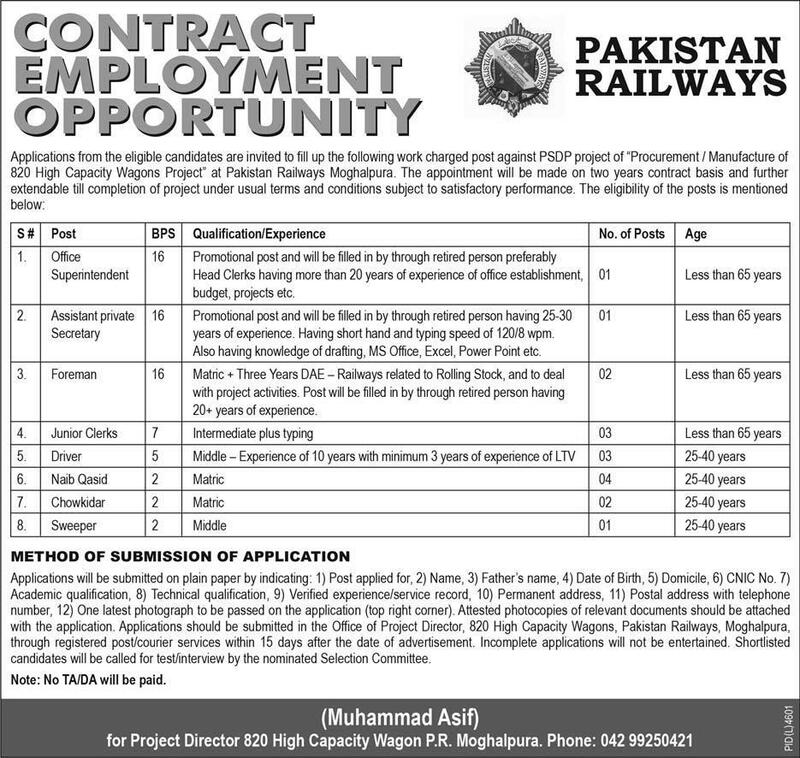 How to Apply in Pakistan Railway? The Application method is given in Advertisement. 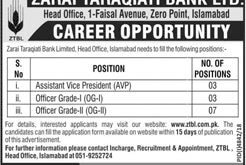 The Official Advertisement is given below. Last date for the submission of application is 01 June 2018.